Following on from last year’s Arlo and Orbi, 2018 is shaping up to be a big year for Netgear. It all starts at this year’s CES in Las Vegas. Usually a playground for sin and vice, the week-long consumer technology mecca sees Vegas become a playground for gadgets, gizmos and everything in between. A fully-featured MU-MIMO Wi-Fi router that’s been designed to enable a seamless and lightning-fast gaming experience through both quality hardware and a robust software experience. On a hardware level, the XR500 comes equipped with four gigabit LAN ports, four high-performance antennas, a dual-core 1.7Ghz processor, 256MB of RAM, dual-band Wi-Fi connectivity and beamforming capabilities. Then, on software, it comes powered by a comprehensive and customizable software interface that lets you easily prioritize traffic sources, monitor your network, connect to VPN servers and set up geofilters to ensure that you’ll only be reaching servers where the difference in ping isn’t too harsh. No pricing for this product has been announced at this time. A new switch that builds on the software experience of Netgear’s Smart Managed Plus Switch and rounds things out with several new gaming-focused features that promise to make it a perfect match for the XR500 Wi-Fi Router. “Designed to meet the specialised needs of the gamer, the new Nighthawk Pro Gaming SX10 10GbE LAN Switch comes equipped with dedicated features designed to eliminate laggy game play,” said Richard Jonker, senior vice president of SMB for Netgear. Although its very clearly a product for gamers, the appeal of the SX10 arrives on multiple fronts. Spec-wise, the devices’ adaptable set of 5-speed 10Gigabit Uplinks set the stage nicely for a consistent low-latency experience. Meanwhile, the customizable RGB lighting means that it won’t just sit aside from your desktop setup but form a seamless part of its overall aesthetic. Netgear announced several new major partnerships at this year’s CES. The first of these is with Disney’s Circle Media Labs. This will see the company’s routers, mobile apps and software experience integrate with the platform, which easily allows parents to better manage and control the level of engagement that their children have with the internet. Using the Netgear app, parents can now create daily time limits for apps and websites, setting individual filters, scheduling BedTime and easily pausing the internet by device or by user with the press of a button. “Netgear has a long-standing commitment to its customers to provide the best in terms of WiFi connectivity for internet access,” said David J. Henry, Netgear senior vice president of Home Networking. The second major partnership that Netgear announced at CES is with Bitdefender. The cybersecurity company has been enlisted by Netgear to power the company’s new security-focused subscription offering: Netgear Armor. Should you buy in: you’ll gain access to a multi-level security solution that protects you against from digital threats through both Bitdefenders’ Total Security anti-malware software and a suite of other features like active vulnerability assessments, URL unlocking and intelligent network intrusion prevention. “For over 20 years, Netgear has led the industry as the best in class WiFi provider and has been first to market in providing new technologies for both home and office networks. Now, with the introduction of Netgear Armor, we are making the network smarter and safer for the new world of IoT and always connected devices,” said David Henry, senior vice president of Connected Home for Netgear. 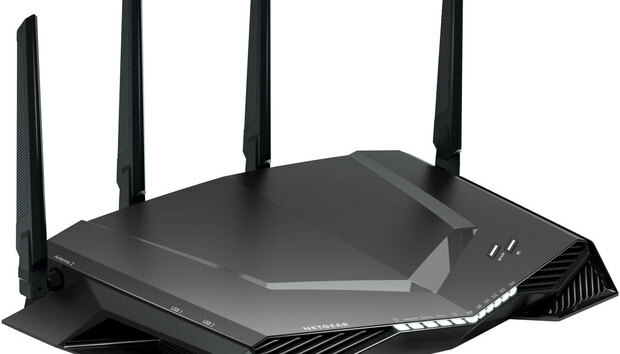 Netgear Armor powered by Bitdefender arrive via a firmware upgrade to Nighthawk AC2300 Smart WiFi router (R7000P). In early 2018, further firmware updates will see it come to Orbi and the rest of the company's curret current lineup of Nighthawk routers. After the promotional 90 days of free service there will be annual subscription cost. Netgear say this will be detailed at a later date.